Stroboscopic Artefacts presents the Monad series. Rarefied and introspective, confrontational and extreme, each featured artist will delve into the Monad concept: "The generation of number series is related to objects of geometry as well as cosmogony. From the Monad evolved the Dyad; from it numbers; from numbers, points; then lines, two-dimensional entities, three-dimensional entities, bodies, culminating in the four elements earth, water, fire and air, from which the rest of our world is built up." Kangding Ray's Monad XI is a fierce exploration of points of origin. With track titles referring to a circle, a stork, a river and a desert, the compositions are filled with abstract references to the four elements. These tropes emerge in the form of dizzying aqueous loops, arid beats, punishingly dark pads, and splintering top lines. This is music which emerges from a sound design process where spontaneity is just as prised as structure. 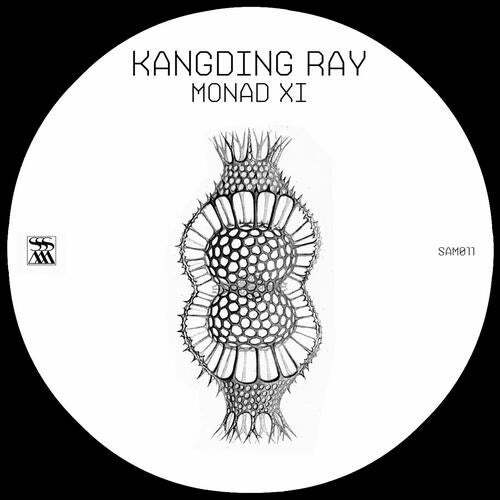 With one ear always attuned to the coincidental, Kangding Ray's Monad is not just capable of demolishing dance floors, but also bristles with brilliantly curious details.